I am a Research Scientist at Adobe Research. I recieved my Ph.D. from KAUST under the supervision of Professor Bernard Ghanem. I was fortunate to work with Juan Carlos Niebles during my master studies at Universidad del Norte. ActivityNet Challenge [2016-Present]: I am one of the leading forces behind organizing the ActivityNet Challenge. I built the infrastructure that allows multiple researchers to test-bed their methods. The challenge has attracted a large number of researchers, and it has been sponsored by several companies including DeepMind, Facebook, and Google AI. Mantis AI [2017-Present]: I am a co-founder of Mantis AI. 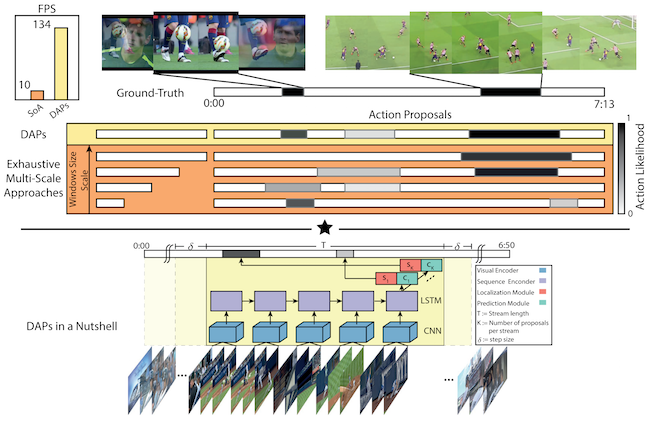 Mantis crafts ground-breaking research in deep-learning to perform activity detection and video summarization for content-aware ad placement. IVUL [2015-2019]: I was a Research Assistant at IVUL. My work aimed to develop models for human activity understanding. Some of my efforts were published at top-tier computer vision conferences (see Publications). Adobe Research [Summer 2017, Summer 2018]: I was an intern for two consecutive summers at Adobe Research. During these periods I developed: (i) an active learning method for action detection; (ii) a navigation system for video editing purposes.